When a fire truck has been damaged while in service or by accident, there are a few important questions operators often ask. Who can fix it and how long will it take? And, is there anyone who can help me navigate the complicated insurance process? In each case, the answer is … Golden State Fire Apparatus, the exclusive Pierce dealer in California from Bakersfield to the Oregon border. 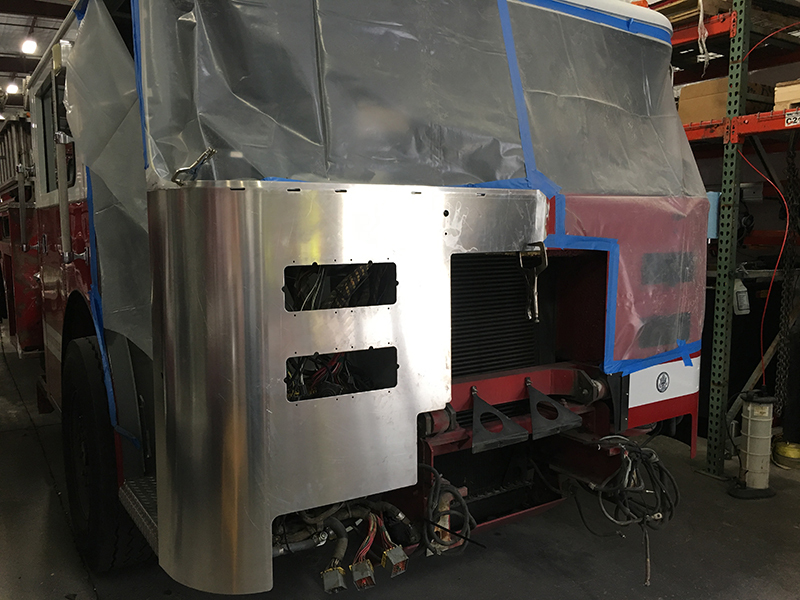 Currently, GSFA is working on an elevated waterway pumper that partially caught fire last fall. “We’re redoing all the wiring and some of the plumbing,” said Service Manager Rick Tracy. 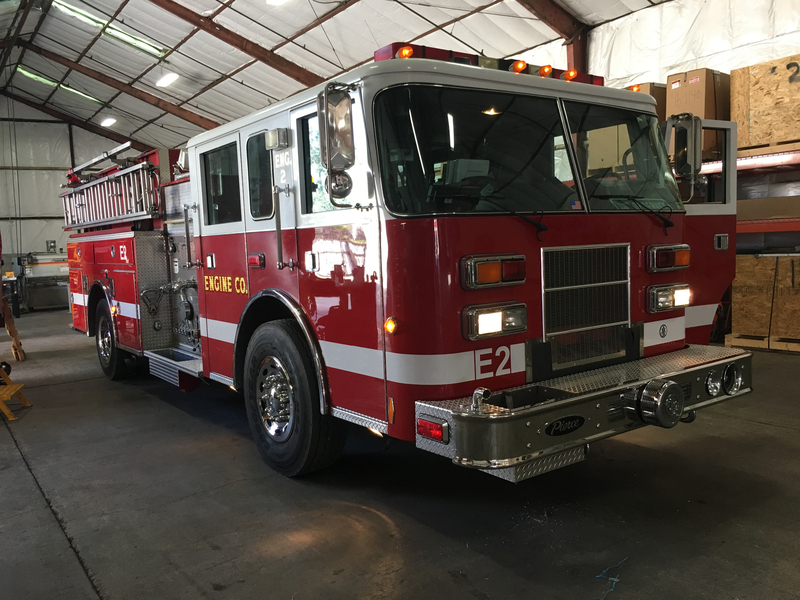 The pumper has been in the shop for two months and it probably will be March before it’s ready to return to duty. Also in the shop now is a truck with cracks in the cab compartment. GSFA spent four months fixing a truck that hit a tree. It just finished another truck that sideswiped a tree, peeling back much of the skin on one side. GSFA has onsite fabrication capabilities – a key distinction separating it from the competition. Photos and short updates are emailed weekly to keep clients fully informed about the status of repairs. 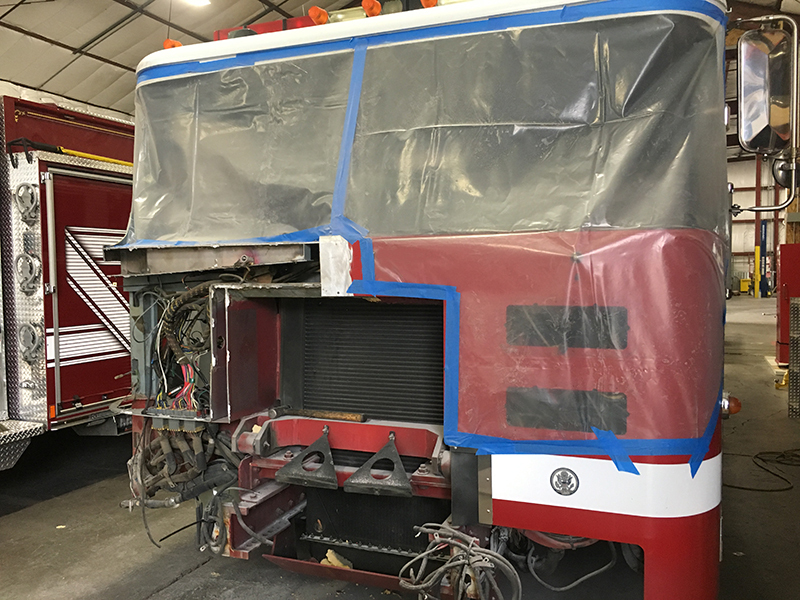 In severe cases — bent frames, damage to aerial equipment or when major rewiring is needed – Golden State will send the unit back to the Pierce refurbishment center in Wisconsin. Even in those situations, Tracy and his team act as a liaison between the operator and Pierce, providing regular updates and progress reports. No one anticipates an accident, of course. Some happen in the course of driving to emergency calls; others occur in the field when trees, buildings or other objects come in contact with the vehicle or it’s damaged by the fire itself. No matter the circumstance, Tracy recommends that customers call GSFA as soon as they can so damage can be assessed and the repair process can begin. He has a one-page form from Pierce that he asks the operator to fill out. “Because it’s an emergency piece of equipment, it’s important that we represent the scenario – accident, failure of equipment, operator error — whatever happened,” Dinkel explained. Pictures also help Golden State and Pierce technicians evaluate the damage. In some cases, Tracy has driven to fire departments to inspect the equipment himself. One of the most important aspects of contacting GSFA early is that it allows Tracy to immediately begin working on behalf of the client with insurance companies.